An opportunity we offer is to cover a high school art credit in a four day class from 9:00 to 3:00 that we bring to you. This art intensive has an equivalent credit of high school art completed. Art Appreciation Curriculum Guide 17-18 We cover all the elements and principles of art and art history materials using Janson’s History of Art for reference. It meets grade level expectations of one credit of high school art. Five projects are completed daily. I usually have it in churches but any facility would be fine. I just need tables and a place to show my power points. It is 125 dollars per student for the class. 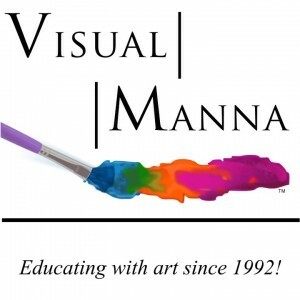 After the class students will be eligible to take art mission trips with Visual Manna Academy and continue on with the Visual Manna Academy program. I would need at least 15 students to do the class. All supplies are included. I have had the pleasure of having Sharon Jeffus teach my children online art classes. This last month Sharon flew to Marianna, Florida, to teach our homeschool group art classes. Sharon had 17 high school students that she taught art and art history to for a high school credit. The students thoroughly enjoyed her class and were exposed to various mediums of art as well as classic paintings and art history. As a parent I feel my students received an excellent and thorough overview comparable for an art credit. Sharon also did two other workshops for our third-seventh grade and kindergarten –second grade students. Again, the students gained exposure to numerous art mediums and hands on experience. She had 38 students for these workshops. Sharon was patient, kind, and very attentive to each student. She demonstrated that she has a heart for young people and teaching them art through the eyes of our Creator. I also had the privilege of her staying in my home while she was here for over ten days. Her love for the Lord was evident as well as her desire to reach young people through art. I would highly recommend her to teach any art class. We hope that she will return to our community and do another workshop in the future.